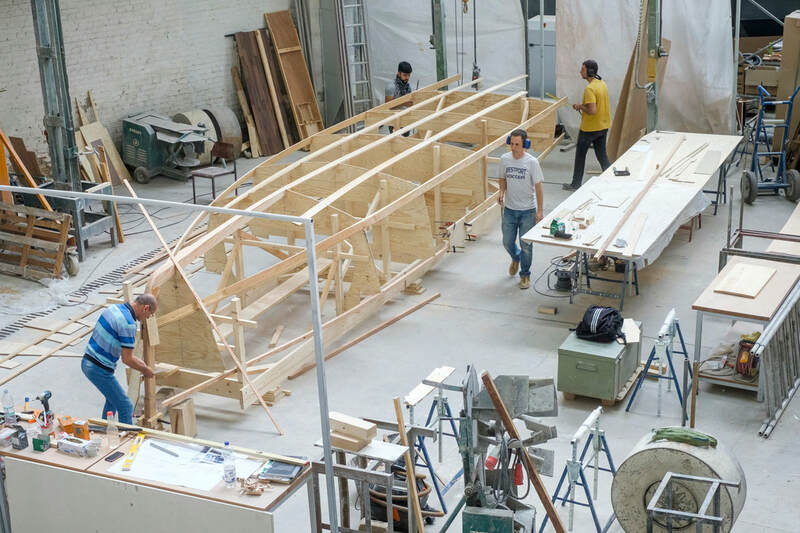 ​Making Waves invites refugees and other errant bodies to build a motorboat! The intensive workshop offers hands-on experience in carpentry and boat building. Participants engage in all stages of the boat’s construction, from design to completion. We envision the boat as an exploratory vehicle for local and cultural engagement. Once it’s complete, we will explore the region’s abundant waterways and converse about the divergent paths that led us here. Who: Anyone with an interest in boats, carpentry or cultural identity. Skills: Basic knowledge of hand-tools is desired but not necessary. Those with prior experience in carpentry or other related jobs are especially encouraged. We reached our funding goal to build a yacht! In November 2017, we launched a Kickstarter campaign to raise 20,000€ exclusively for materials to build the boat. We are grateful to have exceeded our goal with support from over 140 donors! People continue to ask if we need money and how they can contribute. The answer is yes. Our labor is entirely voluntary. The more we raise, the bigger we can build and faster we can ride! Please visit our Support page or Email us directly.